The proliferation of multi-core machines has led to a new software revolution: the concurrency revolution. At a first glance, this might look surprising since concurrency is almost as old as computing and tons of concurrent programming models and languages were invented. In fact, what the revolution is about is way more than concurrency alone: it is about concurrency for the masses. Transactional Memory (TM) is a well-promising programming paradigm for achieving this goal. This presentation dives into the proper functioning of TM systems by providing a theoretical study of the approach and its challenges. 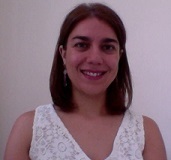 Panagiota Fatourou is an Associate Professor at the Department of Computer Science of the University of Crete, Greece and an affiliated faculty member at the Institute of Computer Science (ICS) of the Foundation for Research and Technology – Hellas (FORTH). She has been an EcoCloud visiting Professor at the School of Computer and Communication Sciences,Ecole Polytechnique Federale de Lausanne in Switzerland. Prior to joining the University of Crete and FORTH ICS, she was a full-time faculty member at the Department of Computer Science of the University of Ioannina. She has worked as a postdoc at Max-Planck Institut fuer Informatik, Saarbruecken, Germany, and at the Computer Science Department of the University of Toronto, Canada. She got a degree in Computer Science from the University of Crete, Greece, and a PhD degree in Computer Engineering from the University of Patras, Greece. Her research interests focus on theoretical aspects of computer science with emphasis on the theory of parallel and distributed computing. Prof. Fatourou is an elected member of the ACM Europe Council and a member of the Advisory Committee of ACM-W Europe. She has served as the editor of the Distributed Computing Column of the Bulletin of the European Association for Theoretical Computer Science (BEATCS) and as the General Chair of the ACM Symposium on Principles of Distributed Computing (PODC 2013). She is the Program Committee co-chair of the 20th International Conference on Principles of Distributed Systems (OPODIS 2016), and she has numerous participations in the Program Committees of the most well-known conferences and workshops in her field. More than 70% of her conference and journal publications are in venues that could be characterized as world-leading or internationally excellent. Prof. Fatourou was the coordinator of a Marie-Curie Innovative Training Network and the Greek representative of the COST Action Euro-TM. She has participated in twenty additional research and development projects, most funded by the European Commission, and she has worked as an expert for proposal evaluation at the European Commission.